The next 'Theme' set was the 'Mechanised Army' introduced just before the second world war. There were then no more until the the 1970s. 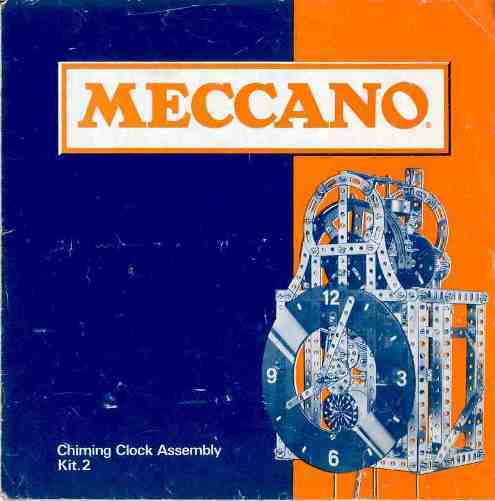 The Clock Kits were introduced in 1971. 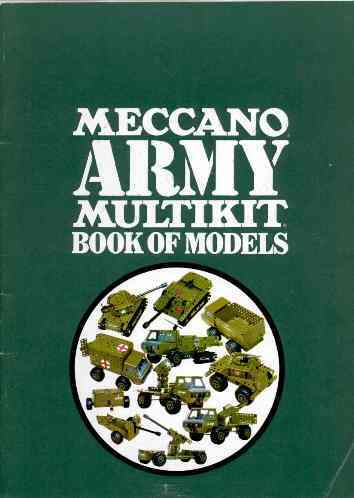 These were followed by the The Army, Highway, Combat, Crane & Super Highway themed 'Muiltikits which were introduced over the period 1972-6. These Multikits were in general very popular. 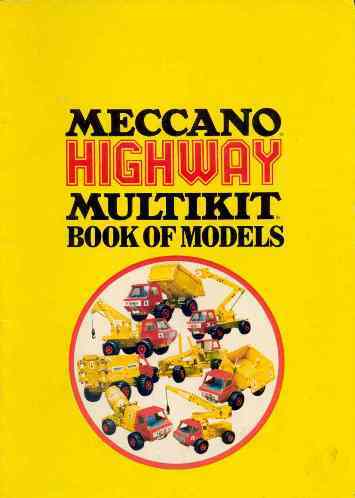 In 1978 the 'Super Highway' Multikit was withdrawn and the remaining 'Multikits' were renamed as 'Construction Sets'. Coincident with this the manuals for these sets were reprinted in a slightly different format but with no model changes. An exception to this is the Highway set which retained its previous manual - Presumably Meccano Ltd. had large stocks of it as it was not as popular as the other sets. These sets were withdrawn around 1979. In general there is little difference in the manuals over this period except for those manuals which had a 1978 'Construction Set' edition. The 1978 editions were re-edited which resulted in slightly fewer pages, although the model pages were unchanged. It is assumed that this was to emphasise the new name of the sets. In 1979 two other theme sets were introduced - 'Meccanoids' and 'Space 2501'. In 1980 a number of small single model 'Action Pack' sets were introduced.